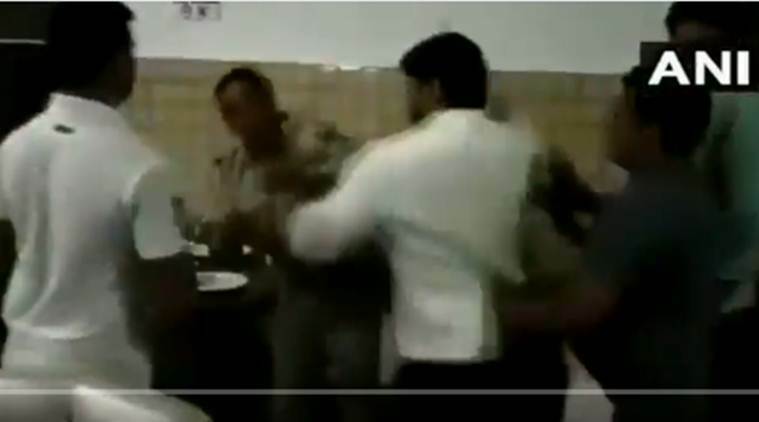 A late-night brawl in a restaurant resulted in the arrest of a Meerut BJP councillor and action against a sub-inspector (S-I), the police said on Saturday. A video of the incident was shared widely on social media. Soon after the arrest of Manish Chaudhary, councillor from ward number 40, BJP leaders and workers protested at Kankarkheda police station and demanded the arrest of the police officer and a woman who had allegedly sparked the scuffle. According to the police, on Friday, S-I Sukhpal Panwar and a woman lawyer arrived at a restaurant on Delhi-Dehradun Highway around 11.30 pm. The police said both were inebriated and scuffled with the waiter for an apparent “delay” in serving them. Deputy SP (Daurala) Pankaj Kumar Singh and Kankarkheda police station in-charge Vinay Kumar Azad arrived at the restaurant and took the lawyer and the officer to the police station. “Both were sent for medical examination and the report confirmed that they had consumed liquor. We arrested the councillor and sent him to jail while the police officer has been sent to lines as punishment,” DSP Singh said. There has been no action against the woman, he added.